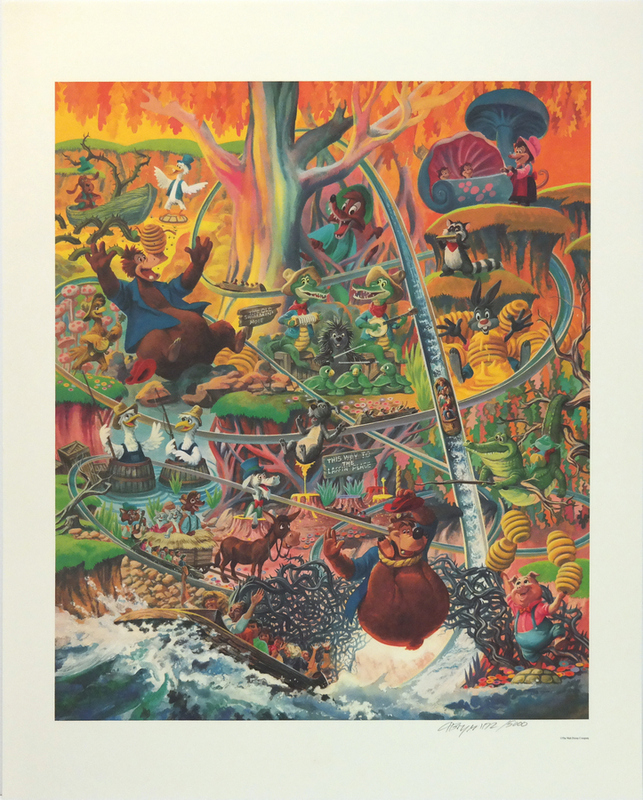 This is special commemorative limited edition lithograph designed by Charles Boyer in 1989 to celebrate the opening of Disneyland's new attraction, Splash Mountain. The image, titled "The Laffin' Place" measures 30" x 24" overall with the image area measuring 24" x 20". The image features a great shot of many of the characters from Song of the South enjoying the excitement of Splash Mountain. 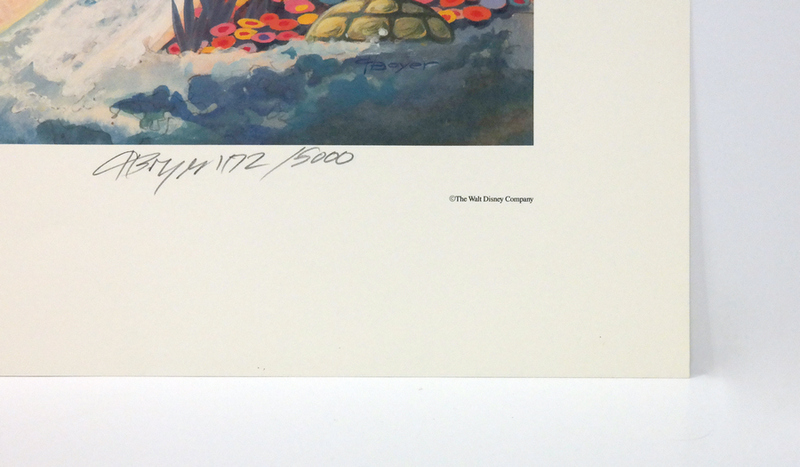 The print is hand-signed by Charles Boyer and is hand-numbered 1172/5000 to the lower right of the image. 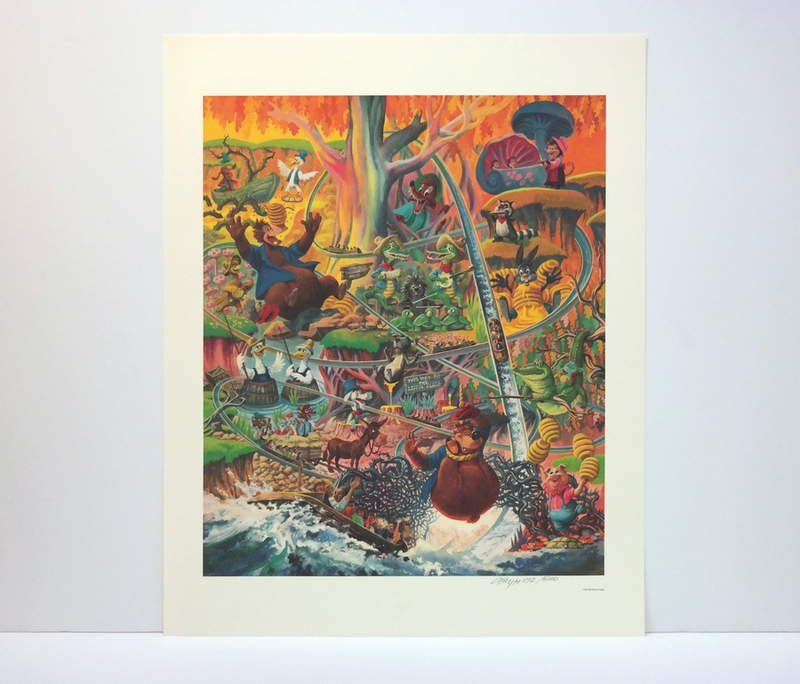 The print is in very good condition.